If you’re thinking of remodeling your kitchen, bath, or floors, you may already know that removing your existing tile can be one of the most tedious tasks. It can be time consuming, tiresome, and messy. Woodruff Floors' tile removal service can remove your tile and dispose of it with ease. Are you ready to transform your living space but those old, worn out hardwood floors are in the way? Whether you're looking to remove glued, nailed, or floating hardwood, our team is able to tear up those floors and make your remodeling project start off as seamlessly as possible. Floor preparation is the key to success to begin any flooring installation project. Prepping your old flooring surface is crucial for a long-lasting floor - whether you are installing hardwood, tile, or vinyl flooring. 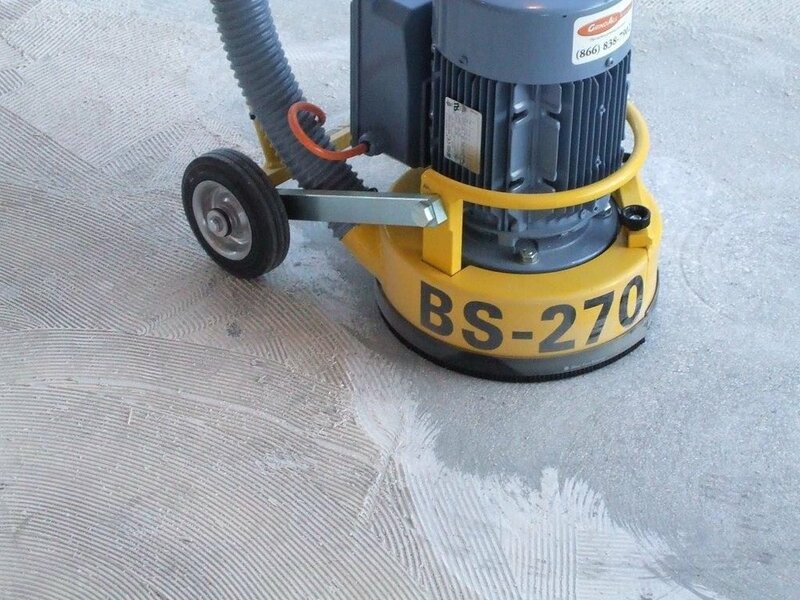 Surface preparation is a key step to any successful flooring installation. . Sealing your concrete subfloor also ensures that the new flooring is protected from any detection of moisture coming from the slab. The floor removal specialists at Woodruff Floors provide all type of flooring removal services; from tile and stone to hardwood, vinyl, carpet, and more. There isn’t a floor that we can’t tear out. We provide floor removal services to the Orlando area and surrounding cities. We leave your floors ready for the installation! We can remove your flooring at your convenience and meet tight deadlines. Save not only the back breaking labor and the added clean-up and disposal costs that can come with removing an old floor, but time as well. The floor removal specialists at Woodruff Floors remove all types of flooring from tile, stone, hardwood, vinyl, carpet, and more. There isn’t a floor that we can’t tear out. We provide floor removal services to Orlando and Central Florida and leave your floors ready for install! Our skilled floor removal technicians can handle any floor removal needs - from large commercial buildings to small residential interior spaces.